You have stock sizes and designs from which to choose. 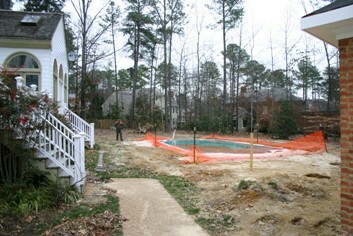 liner and gunite pools that are built on site. 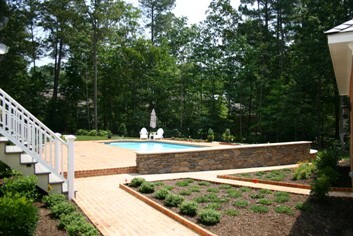 landscape design consider this type of pool. having to resurface it in 8-10 years is a big savings. The surface is smooth and comfortable. It also comes in various colors. 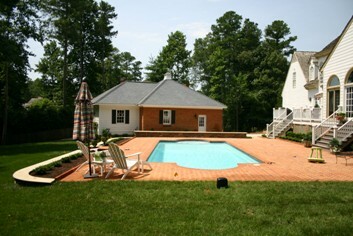 Tile patterns of fish or other nautical designs can be put in the surface to make your pool unique. the point of entry and exit (no aluminum ladders needed). between the levels and to assure proper water flow. bull nose brick coping is another beautiful detail. to the sidewalk level below. to start? I'd like to answer your questions! question and answer become a web page on this site. and you can share it with your friends!